Scene75s Volleyball Leagues Are Back! Scene75's Volleyball Leagues Are Back! 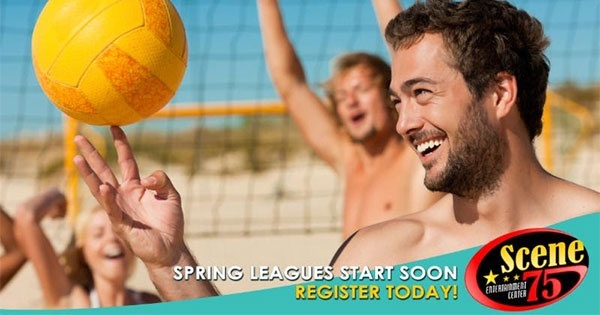 Scene75's Volleyball Leagues Are Back For A New Spring Season Starting April 5th! Fun in the Sun & Sand! Grab some friends, family, or coworkers and put together a team for the Scene75 spring volleyball season! All skill levels of play are welcome. We have leagues for teams of two, four, six as well as accept individuals who are interested in being placed on a team. Our three sand volleyball courts are situated alongside our enormous outdoor patio with an outside bar. The spring season begins April 5th and runs for 6 weeks (plus a end of season tournament). We have leagues Tuesday through Friday. Your warm weather months in Dayton will never be the same.